Adults & teens have the opportunity to learn our Traditional Taekwon-Do program at our Greensboro and Oak Ridge locations. They can also learn HapKiDo at our Greensboro location. 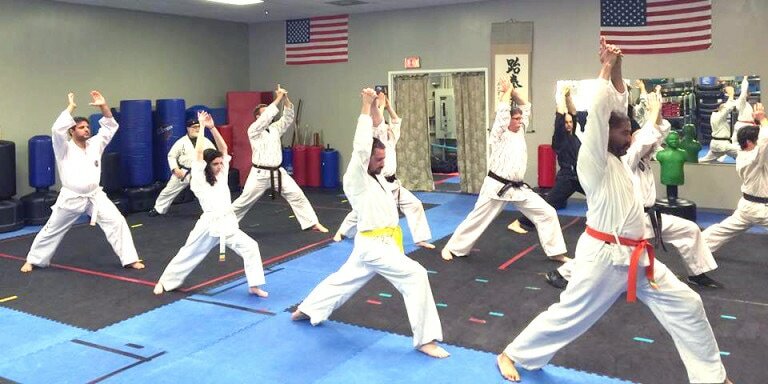 Traditional Taekwon-Do is a powerful martial art where students will learn the fundamentals of self-defense, as well as martial arts stances, blocks, kicks and strikes, and more. Anyone looking to increase strength, flexibility, and knowledge of traditional martial arts techniques. Plus to make sure you are well rounded, our program employs an eclectic approach to self-defense in which students learn to deal with a variety of situations and scenarios.